Micellar Casein, Cocoa processed with alkali, Inulin, Natural and Artificial Flavor, Salt, Sunflower Lecithin, Acesulfame Potassium, Sucralose, Gum Blend (Cellulose Gum, Xanthan Gum, Carrageenan). Add one scoop to 8 ounces of cold water or milk and mix thoroughly. Use more or less liquid to modify the consistency to your liking. Enjoy at bedtime or between meals. Micellar Casein, Inulin, Natural and Artificial Flavor, Salt, Sunflower Lecithin, Acesulfame Potassium, Sucralose, Gum Blend (Cellulose Gum, Xanthan Gum, Carrageenan). Casein is naturally rich in amino acids like leucine and glutamine. 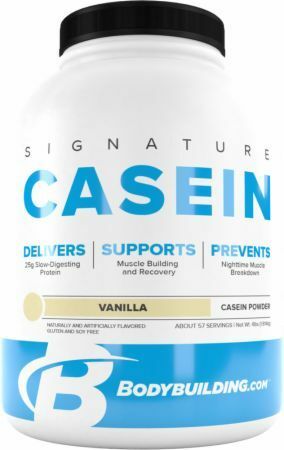 Because of its slow-release nature, casein provides a steady stream of these amino acids to support muscle growth and recovery over several hours. * All of this makes casein the perfect nighttime protein! Enjoy it as a shake or pudding an hour before bedtime or during long stretches between meals.